I do remember making omelette after returning from school having my mother stand next to me, no doubt I use to burn them often. After failing many times I lost my interest and never cooked till I became 20. People usually love to make egg curry, Egg bhurji(scrambled egg) or egg omelette. Today I cooked something different with egg, if you want to learn more about my recipe then keep reading this. It’s simple, easy and of course delicious. 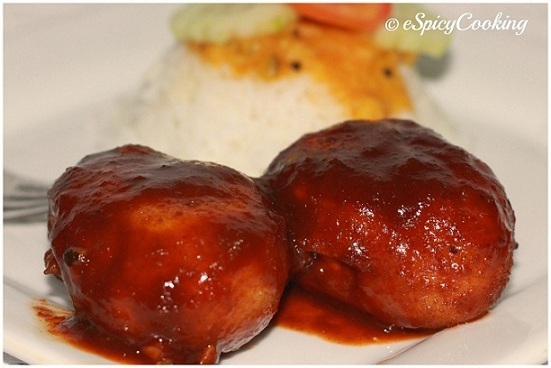 Let’s start our today’s recipe egg Manchurian. Hard boil the eggs, remove skin and slice them lengthwise into two pieces. Add salt and little pepper powder to it, keep them aside. Now in a small bowl add corn flour, salt and pepper powder and mix with little water. Soak bread slices in water for 2-3 minutes and set aside after squeezing. Now place egg pieces in bread slice and roll them into a ball. 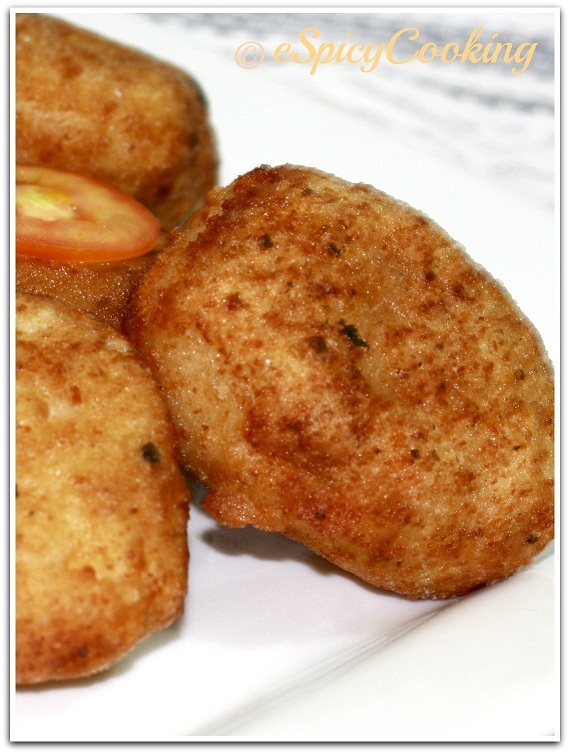 Roll those eggs into breadcrumb, deep into the corn flour mixture and deep fry one by one in hot oil. Fry them till both sides are golden brown. You can serve them as snacks if you want. Now in another pan add 1tbsp oil, once oil become hot add chopped garlic and saute them for a while. Add soya sauce, manchurian sauce, hot and sour tomato sauce and mix them well. Add little water and salt if needed and adjust your gravy as you want. Once the gravy started boiling put those fried eggs to it and boil for 2-3 minutes. Now serve hot egg manchurian with rice, chapatti, naan or paratha as you wish. Hope you like this egg Manchurian. Do not forget to leave me two lines. I am looking forward to hear from you. I like eggs a lot so this dish was tasty for me, I guess it is easy to make as well. Give a try, highly recommended. Must try. kids will love this kind of snacks.